Remember learning to ride a bike when you were little? The front wheel always seemed to spin around uncontrollably, sending you flying. 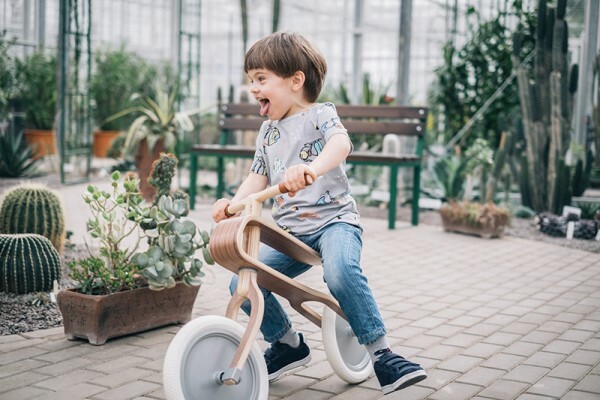 The Brum Brum Balance Bike has set out to stop that problem and provide the safest, best looking kids balance bike out there. 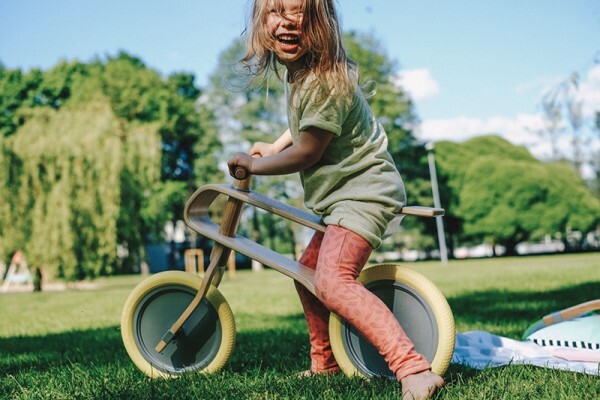 Thinking about what their own kids needed in a first bike, the designers of the Brum Brum Balance Bike ($439) have created a bike with the highest standards and the best features they could imagine. 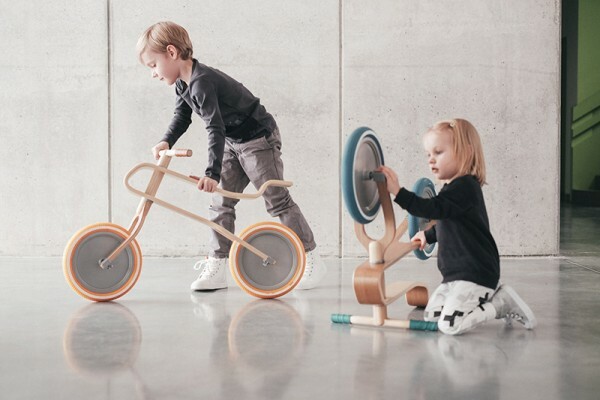 Made from a U-shaped birch and oak plywood frame, the Brum Brum has natural suspension that smooths kids’ rides along bumpy terrain, and protects their spines. A single screw holds the bike together, discs won’t pinch little fingers, and the tyres are tubeless so they never go flat. Then there’s that issue of a surprise spinning front wheel – it’s called jack-knifing and I for one have been winded more times that I can count because I went flying after a jack-knifing incident. The Brum Brum handlebar has a maximum steering angle of 45 degrees that minimises the problem. With three different stand-over heights, from 33cm to 40cm, the Brum Brum suits kids aged two to six. On top of all that practical stuff, the Brum Brum is a fine looking bike. It’s got white walled tyres that come in a rainbow of colours, the discs are cement grey or yellow and the wood frame is super slick. It looks good rolling down the footpath, and on a cool bike rack in your home. The Brum Brum is available online and shipping to Australia is $44. The company is working on getting an Australian stockist. We’ll keep you posted.